Hey Jammers! This is gonna be a long post, so get comfortable! 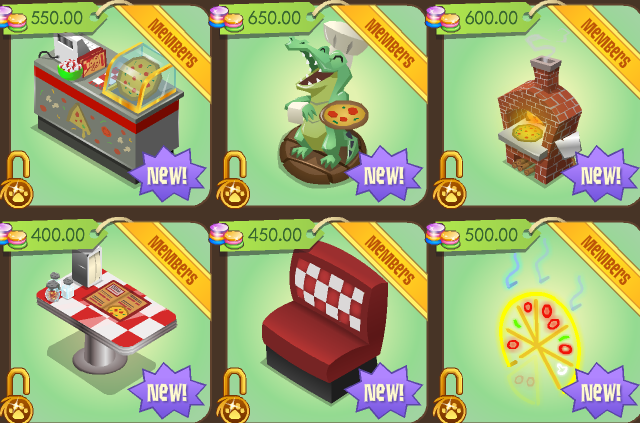 The new clothing items are Clover Earmuffs and a Leprechaun Hat, and the furniture items are a Clover Fountain (very pretty), and a Leprechaun Gnome (kinda creepy!). Well, I think it is! I mean, look at its face! STAARE INTO ITS EYEEES!
" 'Ello,imma little leprechaun, here to TAKE EVERYTHING YOU HAVE AND CONYTROL THE WOOORLD!" "HAHAHAHAHAAA!" LOL! Have you Jammers been to the all new (ok, maybe not ALL new...) Lucky Party yet? If not, here are some pictures to show you around! 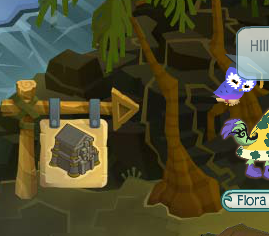 And, check out some of the cool unreleased items that can be spotted there! Note: Remember, these are not the items' real names, I am just guessing and making stuff up! And, for your entertainment, here is a cool glitch you can do with just a Cupid Bow and a wolf, well, any animal actually! The bow is floating beside me when I dance! 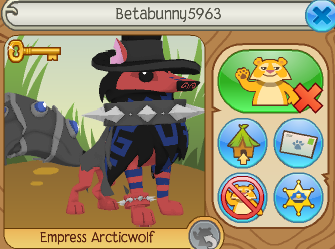 And, GOSH MY WOLF'S BACK LOOKS NAKED WITHOUT THE BLANKET LOL! Late that night, while all the phantoms were asleep, I put my plan into action. I picked the lock on my cell door (the rooms in the phantom fortress were like that) with my talons, and crept silently through the hall, careful not to wake any phantoms. I then went into the phantom guard's room and flew over to his nightstand. The guard opened his eye, and I zoomed into his closet as fast as I could. Peeking out from behind the closet door, I saw him shrug and fall back asleep. I went over as quiet as I could, grabbed his keys that opened the fortress's door, and zoomed out. I went over to the palace door, unlocked it silently, and flew out, making my escape. It was quite dark outside, but luckily, I was an owl, and I could see perfectly in little light. I flew for a LONG time, about 20 miles, I'm guessing, not ONCE looking back, before I spotted the tip of a paw-made roof in the distance. Flying faster than before, I reached the entrance of a town. I didn't see any other animals or phantoms around, so I found a nice little spot in the trees to rest and drifted asleep, thinking of what my family would think once they noticed I wasn't even close to them anymore. After a while, I heard lots of talking, and a ear-shattering howl woke me up suddenly. I looked down to see a battle-scarred blue-grey wolf with a purple tattered blanket on his back, a huge chain collar, metal bracelets around his ankles, and some sort of laced brace on his long, bushy tail. He glared up and me and growled loud enough so I could hear, and I guessed that was a warning to come down. I fluttered down to the ground, and I was surprised to see that the wolf was even bigger up close. 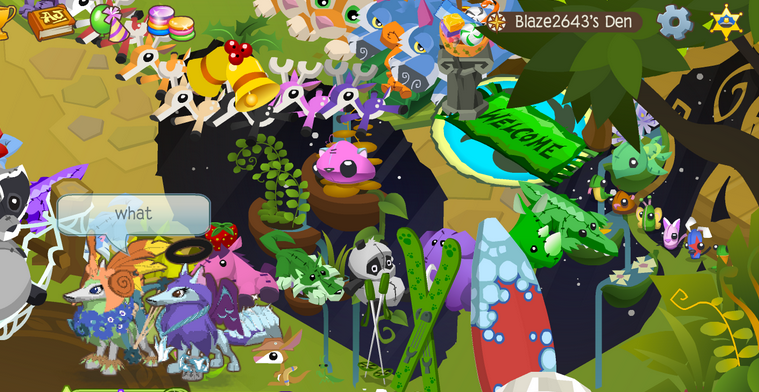 "WHO ARE YOU AND WHAT ARE YOU DOING IN JAMAA!? ", he boomed as he pinned me down. "I...I... ",I stuttered. Just then, I heard footsteps, and someone called, "Greely, let go of that owl! That is no way to welcome someone!" I turned my head to see a panda with short, dark blue-grey hair with a long braid, a teal jacket with a supply belt, and lilac eyes. Greely glared at the panda, before turning back to me and saying "Excuse me for my unfriendliness. ", with a bow of his head. I just stared at Greely, confused and scared, yet curious. "I am sorry if Greely here scared you, he would never mean to. ", said the panda gently. "I am Liza, the panda alpha. What is your name?" "Uhh... I'm Mythical..." I said nervously. "Well Mythical, I think you need to come with us. ",Liza told me. I wondered,"What was going to happen to me NOW?" Hello Jammers! 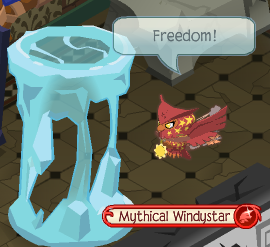 My brand new owl, Mythical Windystar, will be posting today, and she will tell you about her :D So, without further ado, MYTHICAL (royal trumpet sound) Lol! 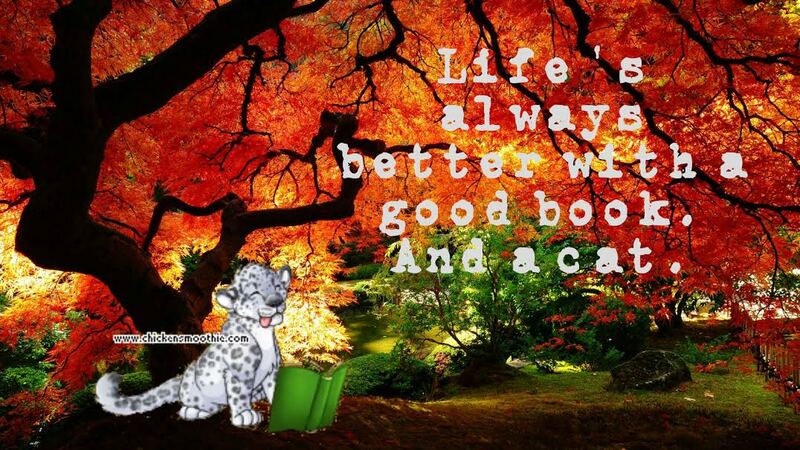 Since the day I was born, I loved to adventure, even just around my tree. I lived with my Mom, Phoenix, my Dad, Flame, and my little brother, Flicker. We all loved to explore, but everyone wanted me to just stay in the tree until nighttime. I didn't want to wait until NIGHTTIME, I wanted to see what the world was like at DAYTIME! So, day, in the middle of the night, well, DAY, but to most other owls, it counted as when they slept. So, anyway, one day, I hopped out of my tree to explore. I was only going to fly around close to the tree, maybe to the top of the tree to get a good view. But then, as I was flying to top branch of my tree, a small, spider-like creature with 6 legs and one eye came out from it's hiding place in the leaves and blocked my path. No matter where I moved, it blocked me, staring creepily with its one eye. It suddenly wrapped its legs around me and wouldn't let me go. I tried to call for my parents, but the thing put one of its six legs over my beak, silencing me. The spider-thing called out "Is this the one mentioned?" Another 'thing' popped out from the tree, much bigger than the first one. Its eye was bigger too, and he had an eerie purple glow around his legs, 8 of them on THIS thing. It murmured "Yes, looks exactly like the one!" I didn't know what they meant, but before I could fight them off, two other things came and took me away, away from my home, AND my family. 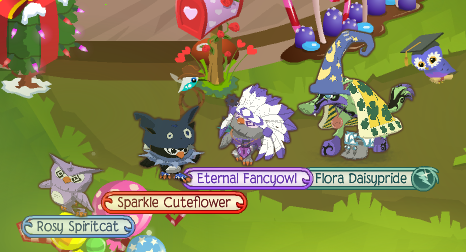 MY BEST ANIMAL JAM FRIENDS! Hi again Jammers! Just another last minute post! 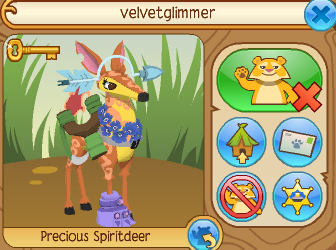 I just REALLY wanted to share some of my BEST buddies on Animal Jam, most of which buddied me when I started AJ! Rachelcatpaws has been my buddy for longer then I can remember, and she is very fun to hang out with! Cloudwing gets on AJ very often, and she is a great buddy who is always kind! 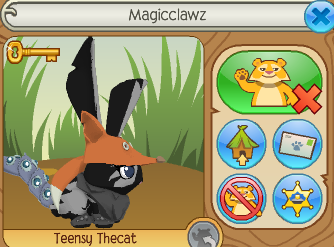 Magicclawz has also been my buddy for a while, and though I don't see her much anymore, I DO remember that she is a great buddy! Betabunny is another great friend of mine I probably buddied in early 2014 or something. Betabunny is very beta, as you can see, and a very good buddy! 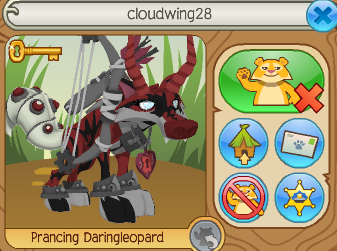 Animaldancer is my buddy on AJ as well as in real life. She is silly and a PAWSOME friend! 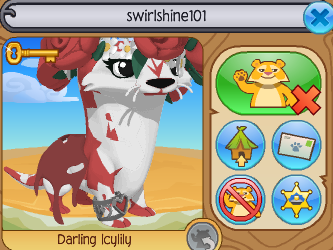 Swirlshine101 is my other real life and AJ buddy. She is silly, fun, and one of my BEST FRIENDS I EVER HAD! 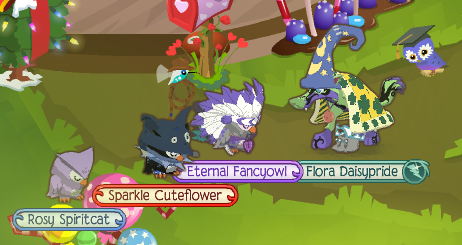 Well Jammers, just wanted to share those buddies with you all for some reason, I guess because I have been reading Wolfstar62867's blog, and she was talking about her buddies on there. I suppose her blog made me appreciate MY buddies even more! Bye Jammers! TWILIGHT!!! Lol! 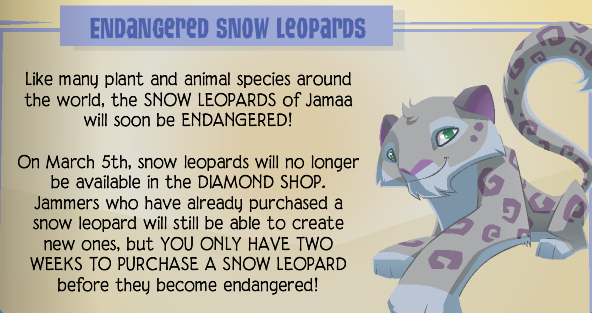 Also, Snow Leopards are gonna be endangered in 2 weeks, so hurry and buy one!!! Hi again Jammers: it's only been a day since I posted, but I wanted to share some glitches with you! 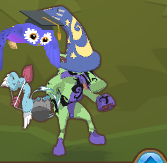 To do this glitch, you have to usually go to the world Aldan. This glitch ONLY works if The Temple of Zios is full, or at least, that's the only way I know it works! Next, you have to try to enter the temple, walk to the edge of the screen, and after the icon saying "This room is full" pops up, don't click "OK", click the ENTER BAR on your keyboard. Then, if you ran far enough, it will cut some of your body off the screen! In this glitch, there is no way to make it happen! Instead, it is all a matter of chance. 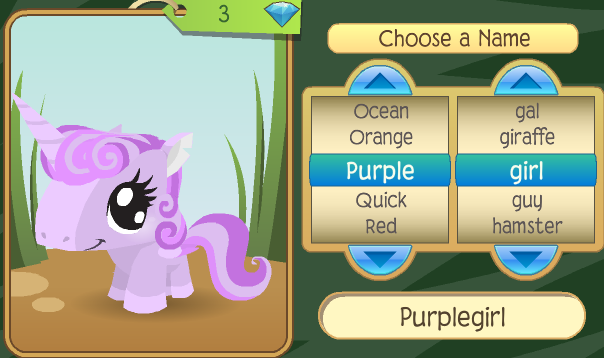 If this glitch occurs, you will see a blank trade space, like shown above, but with an item name under it! VERY weird! 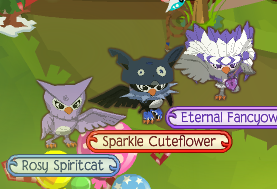 This glitch happens with ALL Rare Spiked Collars, on ALL eagles! If you put one on, it shows the spikes on it very tall and strange-looking. Remember, this ONLY is shown with eagles, NOT OWLS OR ANY OTHER ANIMAL! This glitch is another that I know NO WAY of making it happen. Some dens just do this, you know? See how the wallpaper is in the yard? 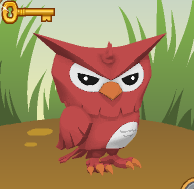 In THIS glitch, it is KIINDA similar to the eagle-and-collar glitch. 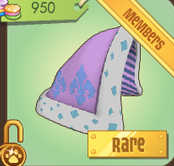 As you can see, the Rare Royal Cape has pale blue,pale pink, and white on it. There is NO Clover Blanket these colors. Until... this glitch came. THERE IS NO SUCH THING AS A BLUE WHITE AND PINK CLOVER BLANKET! I find this pretty cool;it TRANSFORMS into a CLOVER BLANKET! Well Jammers, that's all for now... JAM ON! 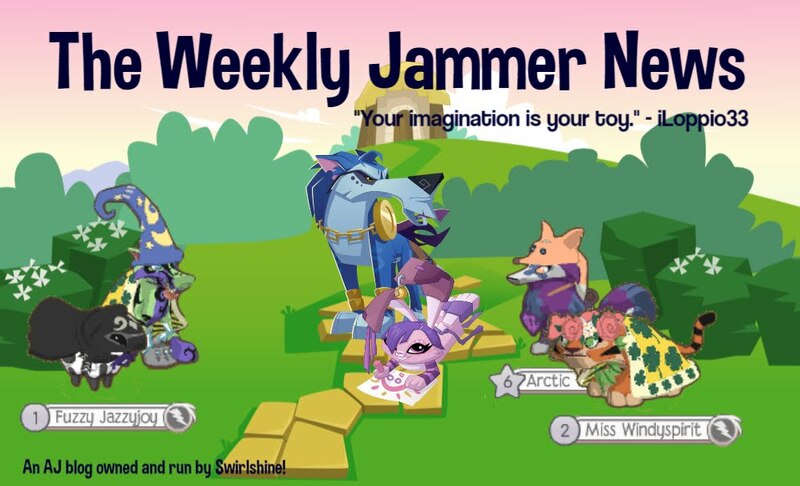 Well Jammers, not much else are in the stores of Jamaa, no new Jamaa Journal either. But I DO want to show you Jammers something. Have any of you gotten into the world "Aldan"? As you can see, it seems to ALWAYS be full, making it the most popular world. It's kinda annoying, in my opinion. 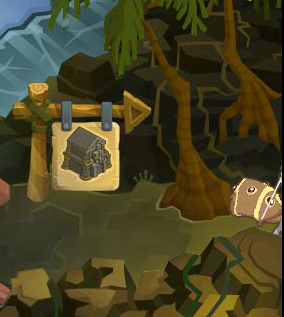 But, after it pops up the "Room is Full" icon after clicking Aldan, if you click the Temple of Zios, you CAN usually go there! 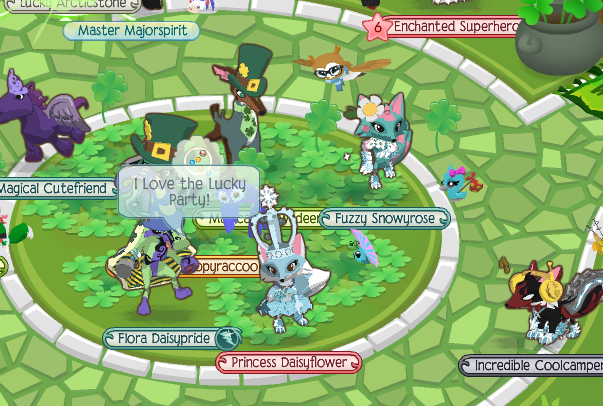 Now, if you go, however, there is usually a BIG crowd of Jammers, 10 or more, wearing Headdresses, Spike Collars, Top Hats, and other Beta or unreleased clothing items, trading with each other and advertising things at their den or another den. Please note that the top picture is separate and was NOT taken on the same day as the bottom picture. It's really kinda cool, except be prepared for any rude or disapproving Jammers: most of these Jammers have many rares and Betas, and may not like anything you have to offer for an item. 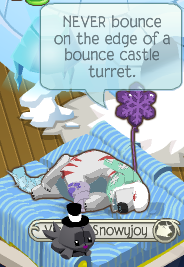 Just ignore any rude Jammers, or just walk away. I was kinda bored one day, so I decided to take some pictures of popular items on trade lists in Jamaa! There is lots more too, but I am too LAZY! LOL! 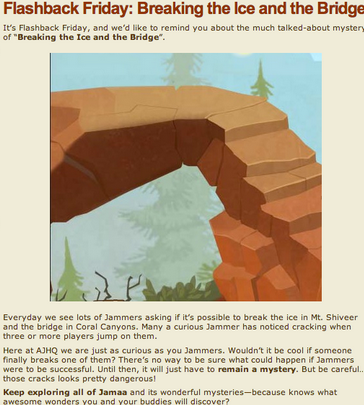 I am sure almost ALL you Jammers have heard the rumors about breaking the ice and bridge at Coral Canyons and Mt. Shiveer? Well Jammers, don't let other ppl discourage you, because check out this passage IN FINE PRINT written by AJHQ! Lol! Isn't that cool! If you don't see it, lemmie explain it. Some Jammers say that the bridge and ice will NEVER break and NEVER has. Well, AJHQ is hinting that it IS possible to break those things! Some Jammers even say they HAVE broken it, but be careful, some are just lying! P.S. Lol, always wanted to do that! 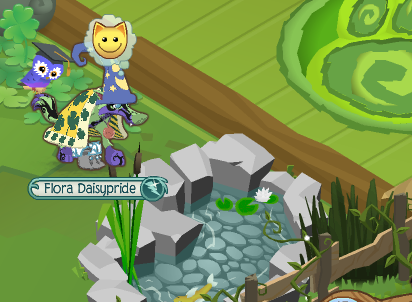 New Animal, Den Items, and more! What's up Jammers? Have you all heard the pawsome news? 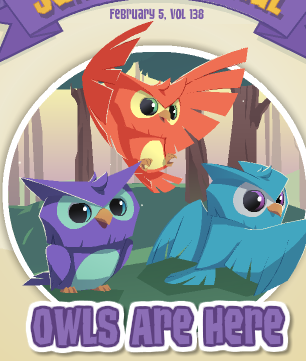 OWLS ARE FINALLY HERE!!! These new arrivals are, yes, TEN DIAMONDS (I bet many Jammers were disappointed...), but they are SUPER cool! They can even join The Forgotten Desert now! 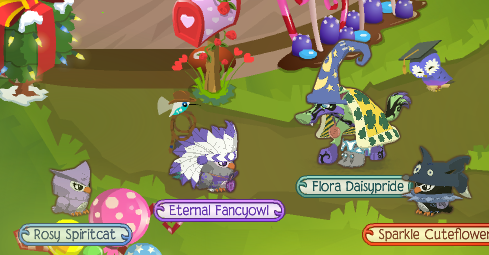 I do not have an owl yet, on account of I only have 5 Diamonds ( D:), but I DID get a few owls to show me the actions! Thank you mumu159, mommy858, and 1mmjj2 for letting me feature you! Here are the owl actions! I like the Avatar picture, they look okay when they are first bought too (shown in avatar pic.). I think it looks pretty cute how they sleep, but why on the ground? Maybe because eagles already took the cloud idea? And their playing is HILARIOUS! I love how they do what is shown in "Out On A Limb", even the swirly eyes! Lol! I personally didn't really care for this theme, since the Ice Cream Parlor came out already, and it just didn't seem as creative as Deep Space, with all the metal gadgets, or the Art one, with all the paint splats on the wall... 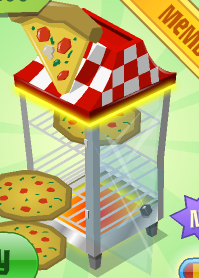 I voted for Art, but I guess I am disappointed with the Pizza Parlor because I like art and I kinda like space too. 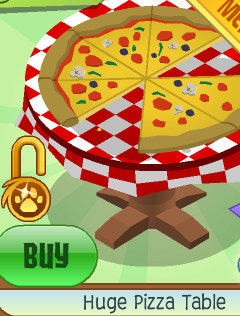 But actually, this Pizza theme isn't so bad! 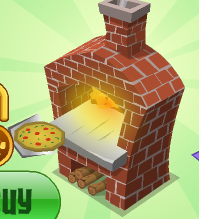 Here are all the new Pizza Parlor items so far! P.S. 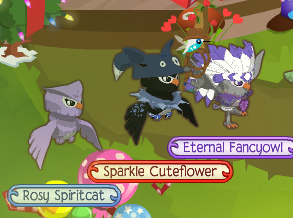 The new JMC items are a Chef's Hat, Heart Balloon, Heart Scarf, and the Right and Left Friendship Necklaces!